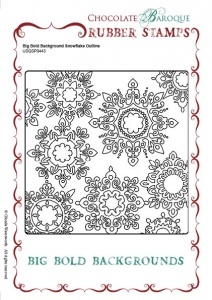 This extra large, single rubber stamp depicts various snowflake outlines. 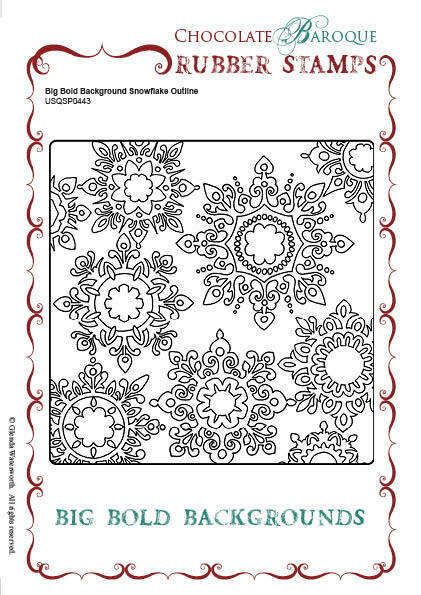 Ideal for creating backgrounds, edges or for using as the main focal point of your project. This stamp requires a 6" x 6" acrylic block. Stamp measures approx 5.5" x 5.5"
I stamped this with Versamark then used Perfect Pearls to cover ...lovely effect and makes a good card cover to add to!